So here it is, the granddaddy of all the English trails, the Pennine Way. It’s here that I started walking as a life-defining pastime, back in 1971. 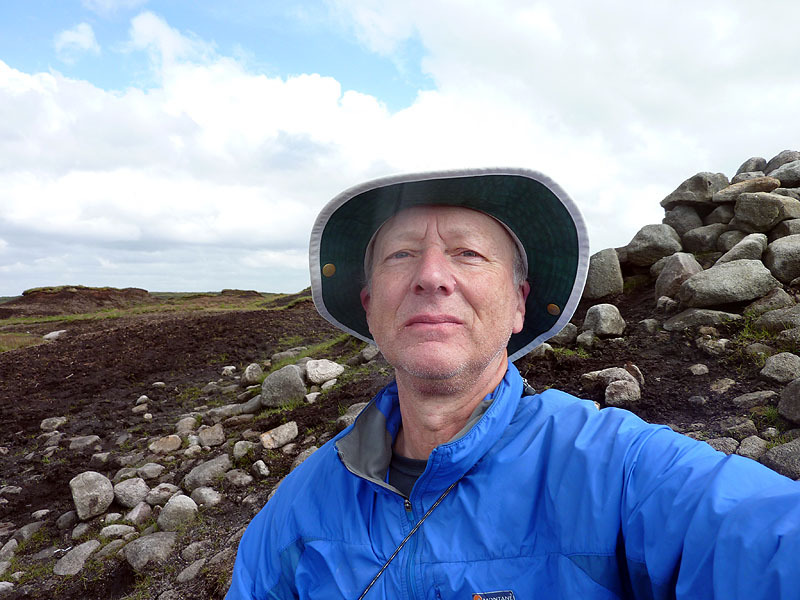 Since then I’ve walked bits of it three times, but the final few miles took me till 2016 to finish: a 45-year traverse. Whether that’s a record slow time I don’t know, but I’m sure it will take some beating. 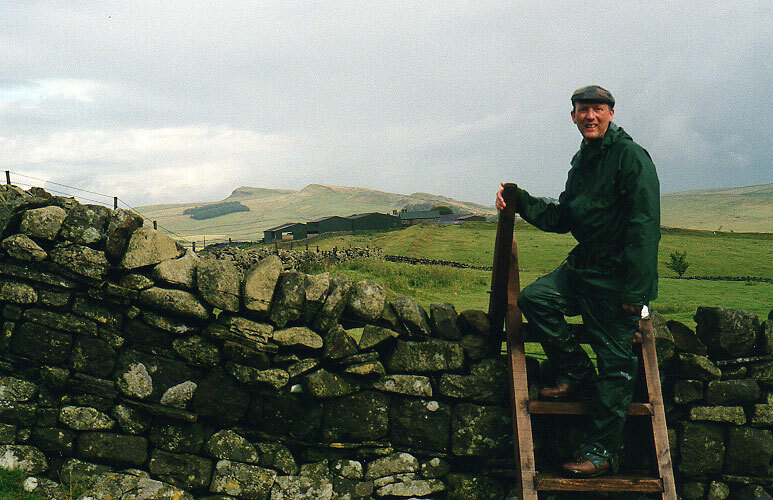 I remember why I first journeyed to the Pennine Way: a newspaper article by Chris Brasher, Olympic medallist turned fellwalker and later bootmaker. It praised the then-infant trail in beguiling terms, and a turn to the map showed the exotic legend ‘Pennine Way undefined’, marking the route through the wilder sections. Not now it isn’t, and scarcely even then I found, but it helped me find the relief of wilderness in this crowded nation. On that initial walk, from my student base in York, I chose to take the bus to just before Barnard Castle, walk along the Tees to Middleton, then head by the PW to Alston before making for the Lakes. Brave indeed, given that I had no idea at all of the nature of the terrain, and that I was solo. Lucky to complete or even survive, others might say. More of that trek on the High Pennines stage. 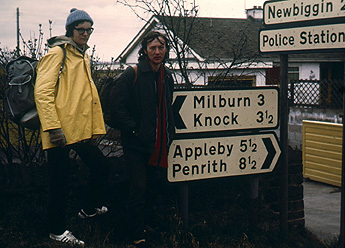 My return was not long after, in 1973, with my college friends Dave Travers – with whom I still walk – and Mike Chant. We travelled from Earby in the Dales to Middleton on a snowy April. 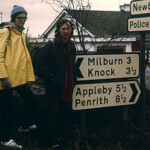 Then three years after that, in the height of the baking summer of 1976, I took myself from the start point of Edale – which I knew well, leading school parties through the Dark Peak from my home in Lincoln – all the way to Alston, save for a couple of skips through country I had visited before. That just leaves a return by Dave and me in the early 90s, picking up at Middleton and finishing at Byrness, the last staging-post before the finish at Kirk Yetholm. 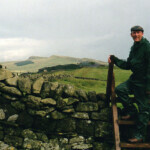 Eventually, in 2016, the final stage of my cross-England walk, took me back to Northumberland. Not quite to the end point though; that needed another excuse, two months later, to draw me over the last nine miles. I have surviving notes, of some description, of all of these walks, and detailed logs of part of 1976 and all of 1994, 2014 and 2016. No trail in England has been as discussed as the PW, so I do not intend to go through my usual litany of transport routes, habitation and accommodation, save where it might be of interest or relevance to my recollections of a stage. But this mini-site needs some structuring, and I have done this by dividing the PW into four, corresponding to four great blocks which I feel define the nature of the Way. First, there is the Dark Peak. 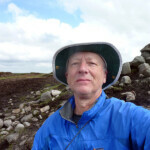 Strictly, this relates only to the first three days through the northernmost part of the Peak District proper, across harsh high moorlands, but I find it convenient to extend it to the Calder gap. Beyond here comes the first of the Yorkshire Dales, above Haworth, and though one is not yet in the Dales as defined by their National Park there is a marked change from the semi-urban, above the Lancashire mill towns, to the undoubted wildness of Heathcliff territory. The Dales proper begin after the Aire gap, and these are grand stages of the PW, especially around Malham, Horton and Hawes. But none are grander than the High Pennines. I mark the change at Bowes, on the old trans-Pennine coaching route that is now the A66. Do not be misled by the pleasant little riverside walk beyond Middleton through Teesdale: beyond High Force, the treeline is abruptly crossed, taking you across the watershed in what is quite possibly my favourite walk in the whole world, yes bar none, to Dufton, and over the Pennines’ highest fells to the Tyne valley at Alston. The two branches of the river Tyne, north and south, dominate the next few days. The South Tyne stretch is rather scruffy, but Hadrian’s Wall is worth the wait, before remote country takes you to Bellingham on the North Tyne, and a further day through forests to Byrness. The Cheviot crossing is a noble finish.